Periodically, the Maryland Genealogical Society honors individuals and organizations through recognition awards. Below are lists of the MGS Fellows and the recipients of the MGS Certificate of Merit. 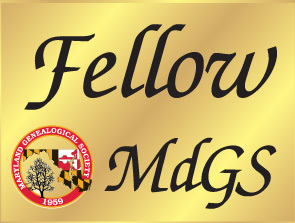 Fellowships are given to members of the Society who have distinguished themselves by their outstanding genealogical scholarship and contributions to the Society and to the genealogical community. 1999 Vernon L. Skinner, Jr.
1995 Henry C. Peden, Jr.
1985 Freeman E. Morgan, Jr.
1971 Raymond B. Clark, Jr. 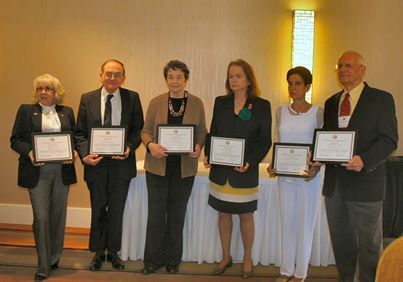 Certificates of Merit are awarded to individuals and organizations for meritorious services contributing to the advancement of the Society and its objectives. 1971 Mrs. Lewis O. 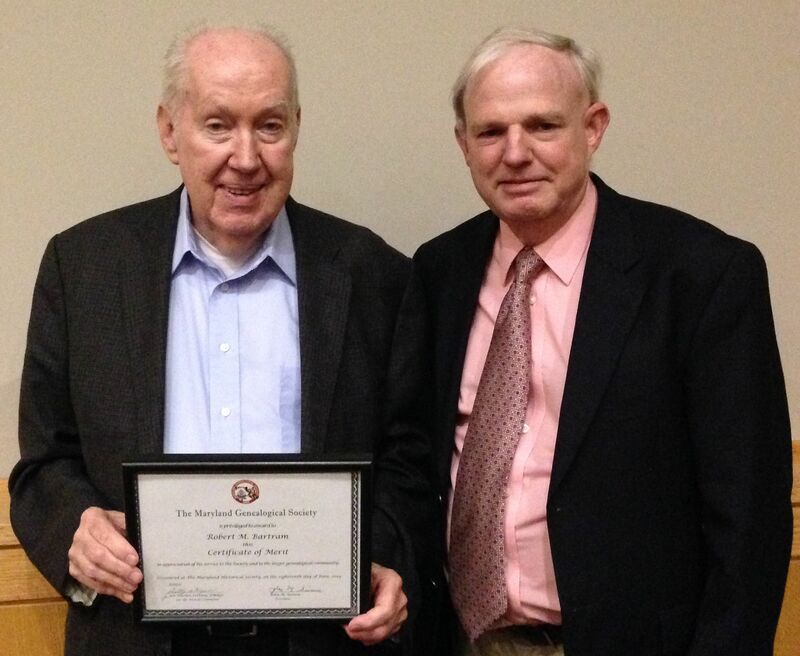 Bowman, Sr.
After many years of dedicated service to the Maryland Genealogical Society, the Maryland Historical Society, and the genealogical community, Mr. Robert M. Bartram was presented with a MGS Certificate of Merit at the Maryland Historical Society’s Annual Meeting on June 18, 2014. Bob was President of MGS in 1969-70, and editor of both the MGS Newsletter and Bulletin from 1973-75. He worked at and volunteered for many years at the Maryland Historical Society library and chaired their Genealogy Book Award Committee for 17 years. For his many years of service to genealogists, MGS recognized Bob with the Certificate of Merit on the occasion of his “retirement” from the Genealogy Book Award Committee. It was announced that Allender Sybert will replace Bob as chairman of the committee.